Publications - Ingram Entertainment Inc. 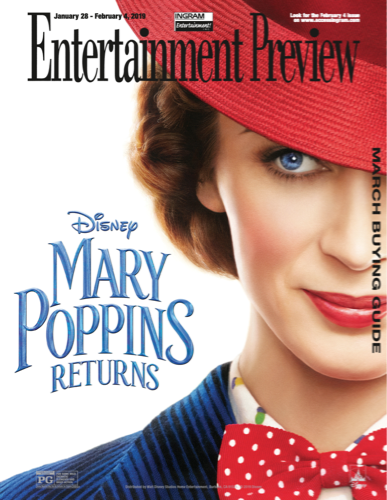 The weekly Entertainment Preview keeps you on top of what’s new from the studios, including new sell-through product and important re-releases. Check the strip at the bottom of each page for ordering information. Our user friendly index tells you where to find the brand new rental and sell-through titles. This four-color magazine features a monthly calendar and current listings of video product including Spanish version movies and video games. 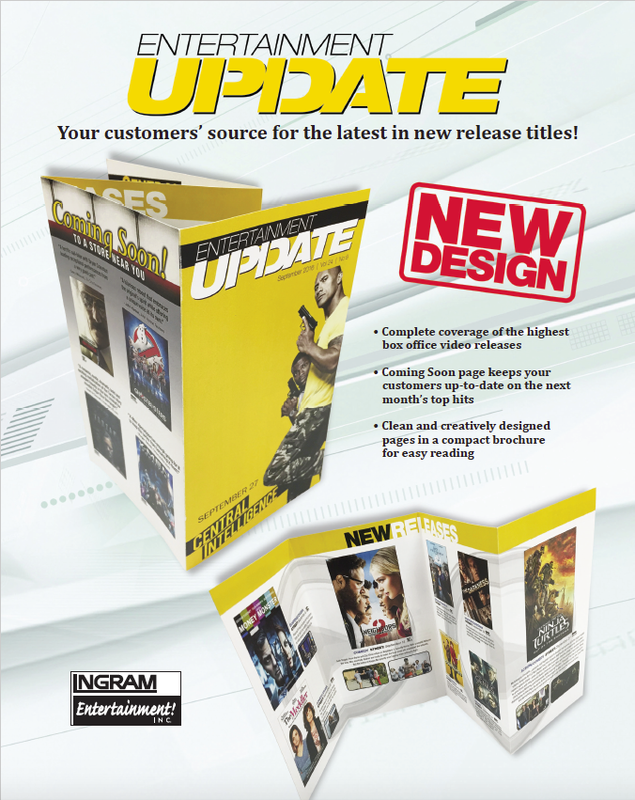 Our exclusive monthly, digest-sized consumer Entertainment Update magazine helps you provide your customers with the latest information about what’s available in home entertainment. This full-color subscription magazine features new and recently released titles, title summaries by genre, great audiobook releases, as well as a special children’s section. Keep your customers informed and excited about your current and future releases.